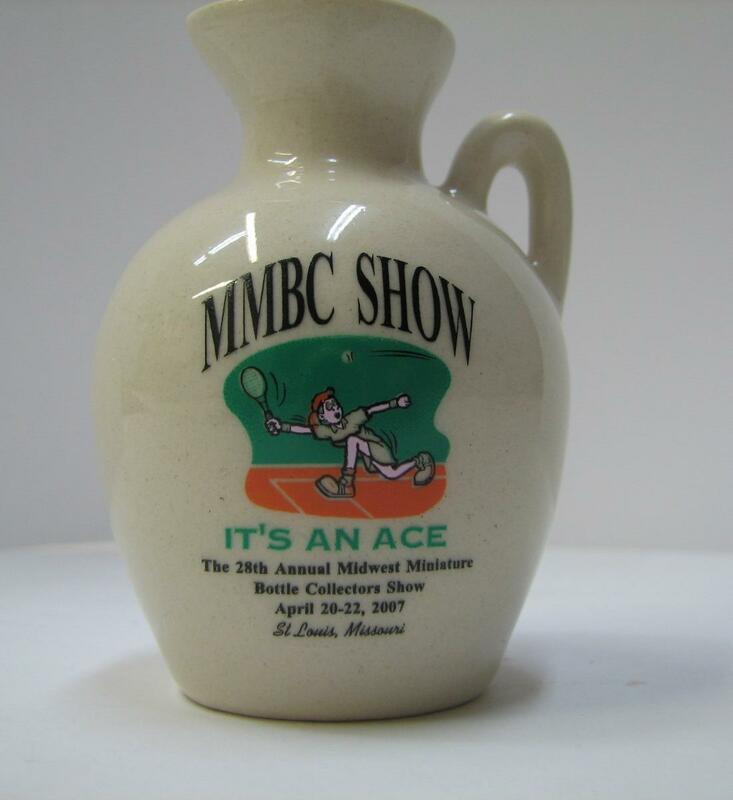 The MMBC Millennium Jug was published specially for the 28th Annual Mini Bottle Show in St Louis, (Missouri), U. S. A., on April 20–22, 2007. The show in St Louis is organized once a year by the Midwest Miniature Bottle Club. This special series is limited to 150 pieces. This is the eigth piece in the successfull MMBC series. The new cream ceramic bottle is of the jug shape with a small handle. The front label – „It's an Ace“ – was proposed by Jim Crawford and the MMBC board (image on the left). The back side label describes briefly the King Barley Fine Malt Whisky, 12 yrs, and gives producer information (Kuba- MBC, Olomouc, Czech Republic). 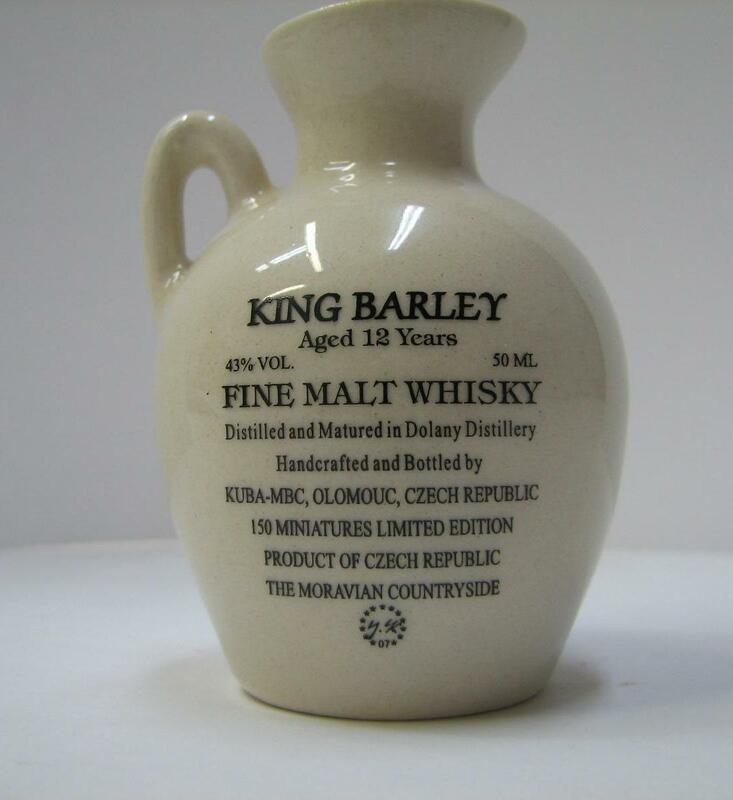 The King Barley Fine Malt Whisky over 12 years is produced by Seliko Olomouc, Dolany, Czech Republic. The bottle is plugged by a cork plug sealed by brown sealing wax with the producer's imprint. Edition 2007, specially for the MMB Club, U. S. A.